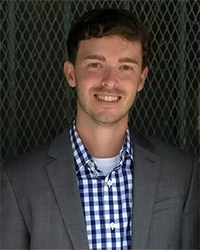 This week we're showcasing new Associate Account Manager, Brett Schommer. Favorite things to do on his days off: On my days off I like to spend time with family, friends and my dogs. I like to get out of the house, whether it is a bike ride or golfing with friends. Favorite place to travel: If I had to pick a favorite spot I would have to say Colorado. I enjoy skiing and try to make it out there a few times each season. Favorite time of the year: My favorite time of the year is summer. It’s tough to beat pool weather and barbeques. What made him want to work at Mortech: What really sold me on Mortech was the fact that every review and article I read about the company featured employees talking about how great it is to work for the company. These days so many people seem to hate where they work for one reason or another. It was great to see that Mortech/Zillow’s employees are proud to talk about how much they love the company they work for. One interesting fact about him: I don’t know how to whistle. Last time we showcased Associate Account Manager Rachel Ryan, which you can read here. Or to learn more about Marksman, you can click here.